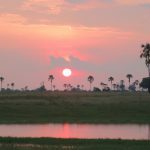 Anouk is now back at her desk with memories still fresh, filled with fantastic sunsets and the lush beauty of Hwange in the green season. Here are some highlights of her last few nights in Zimbabwe…. 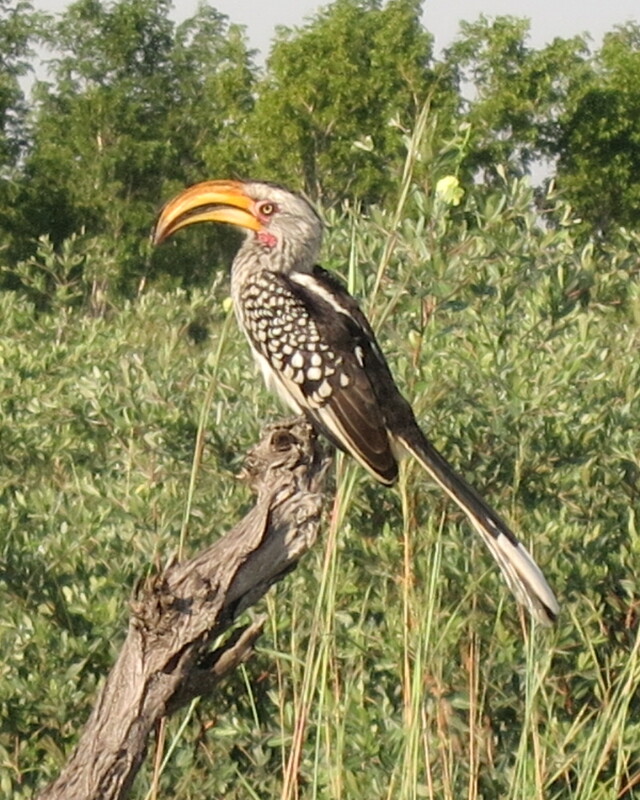 The entire park was just alive with hundreds of species of butterfly, blooming hibiscus, huge variety of birds and very healthy looking animals. It’s really the most wonderful season for photographers, the animals literally just “pop” out of the green background. We had the most gorgeous sunsets, with a full moon at the same time. One of the many great benefits of staying at lodges in private concessions is being able to enjoy a full sunset experience with a night drive back to camp. 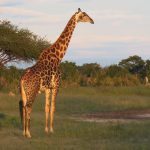 You also have the opportunity to get out of the vehicle and track animals (with a qualified guide of course) as well as stop at various “hides” around waterholes to enjoy the action under safe cover. 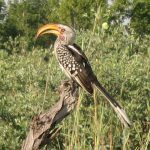 Zimbabwe’s guiding schools are still top-notch and it shows with the great guides who can make every game drive fascinating whether you see the “big five” or not. 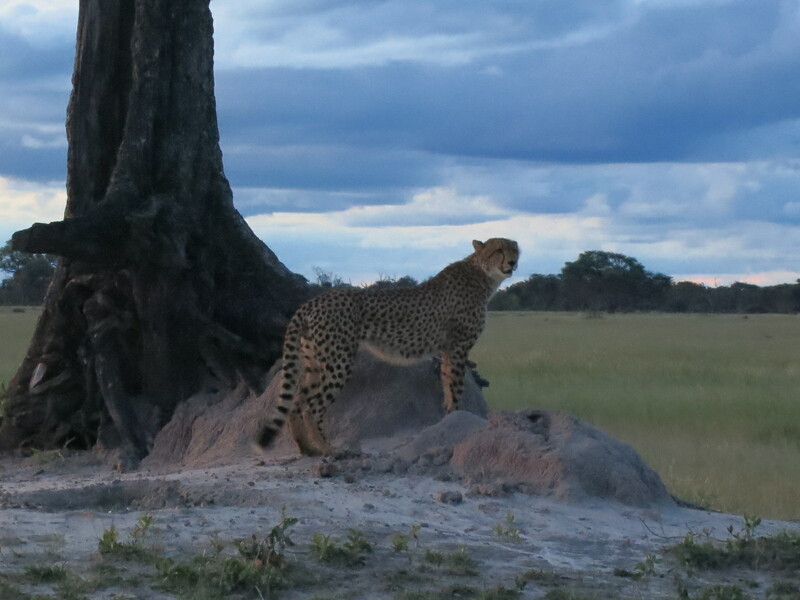 A highlight of our final days in the area was seeing Cecil’s pride and his gorgeous male sidekick – Jericho. All doing very well. 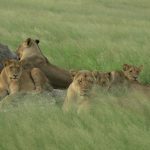 The concessions and national park areas close to The Hide and Somalisa are now home to several lion prides. It’s a real soap opera in the making with very few experienced males, and lots of females all in relative close proximity. We heard them roar every night and one of the prides walked straight through camp early one morning. 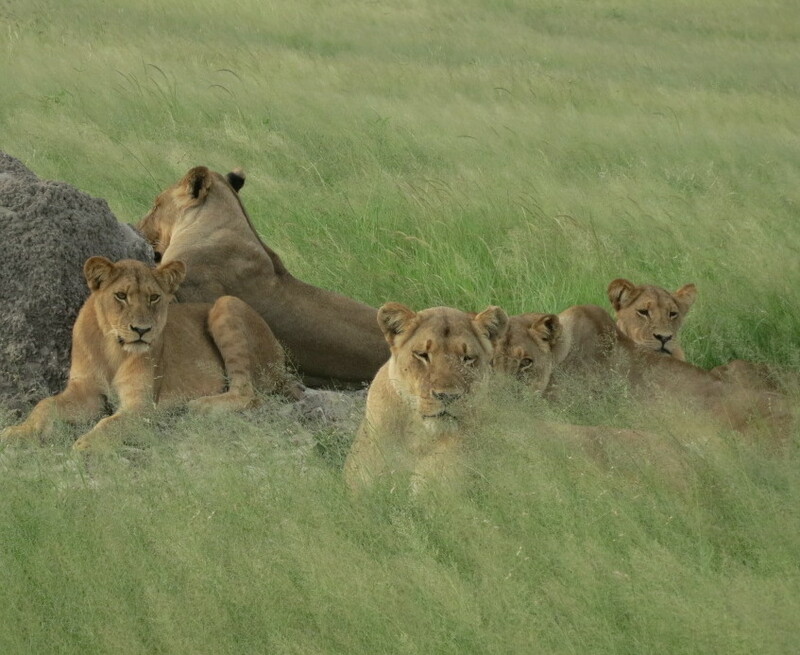 We also watched a pride hunt which is always so exciting, their patience and stealth is amazing. With the high grass as easy cover it was super exciting to witness from the elevated safari vehicle seats. 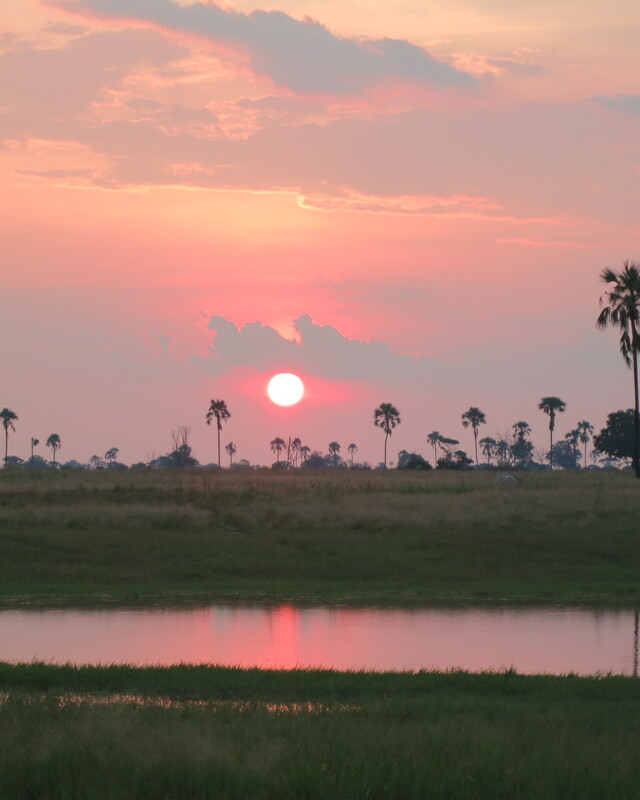 We thoroughly enjoyed our last two nights at the newly renovated Somalisa Camp, the tents are huge and very well-appointed, with a big copper bathtub as well as outdoor and indoor shower. 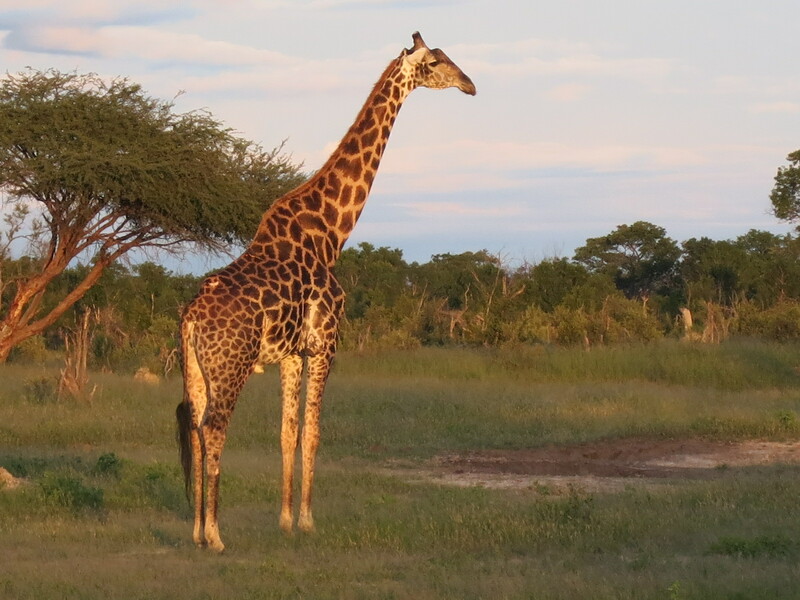 It’s always a treat to take an outdoor shower after a long game drive. The food was fantastic from self-created pizzas made in a proper pizza oven, to a delicious braai at night, we were very spoilt. Elephants browsing on trees inside the camp keep everyone on their toes and is always a nice touch (if you are not in charge of building maintenance or the kitchen!). Somalisa is one of the most eco-friendly camps I’ve ever visited, they’ve made a huge investment in solar power and water recycling. If you stay I’d highly recommend the back of house tour to see it all … it certainly takes a village to keep us guests in style! 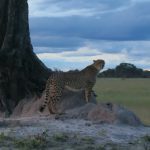 Our final night we saw the sunset behind a termite mound with a gorgeous cheetah perched on top, and wished on a shooting star that we would return soon. Until then I will have to live vicariously through all of you who have still got your safaris to look forward to.